Ooi with a refurbished desktop at the company’s headquarters in Shah Alam. Leanne Ooi started her computer restoration business in 2001 after her employer decided to shut down its refurbishment unit because she was confident of the potential in the segment. Today, that faith has been vindicated, writes LIM WING HOOI. WHEN the company she was working with decided in 2001 to scrap the computer refurbishment division she was in, Leanne Ooi Siew Lin did not allow herself to feel like it was the end of the world. In fact, she decided to prove that the business her employer had deemed obsolete was still viable. Ooi started her own company, Rentwise, a few months later and started refurbishing PCs, laptops and other hardware for lease and sales. “I was working as a business development manager with the information technology asset management company when they decided to change direction in 2001 as their foreign shareholder divested their interest. It was a moment of volatility, and I left the company and started Rentwise within the next three months,” Ooi, 39, remembers. She started her new business with RM300,000 in capital and a staff of six at a rented 4,000 sq ft office in Puchong. Ooi explains that she needed the space as the business involved a lot of used PCs, and the workers needed a sizable area in which to work, from doing refurbishments to data security sanitation tasks. “We see the potential in this segment because clients would usually retire their fleet of PCs in two to three years time. We managed to secure 200 PCs to begin with,” she recalls. Once refurbished, the company’s used PCs are sold to small enterprises, usually ending up with companies looking for PCs in the non-critical segments of their business. 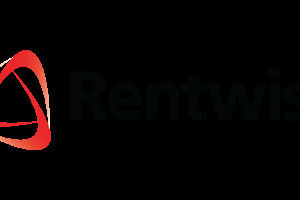 In the early years, Rentwise sourced its computers mainly from Australia, the US and New Zealand — up to 80%. These days, though, local PCs make up 80% of their inventory. “It’s cheaper to source overseas as we get to pick better quality equipment, which reduces our refurbishment cost. But we want to start a sustainable supply chain in Malaysia and subsequently in the Asean region,” says Ooi. The company secures about 60,000 pieces of computing equipment, ranging from desktops and laptops to storage and servers, every year. These are repaired and restored, then leased or sold. “We have about 200 corporate clients with users ranging from 100 to 1,000,” says Ooi, who points out that her clients are in various industries, from manufacturing and automotive to oil and gas, healthcare and education. The company, which has 10 times more people than when it first started, moved to its current address, a 20,000 sq ft office in Natco Industrial Park, Shah Alam, in 2007 to cater to the increased volume. They also have sales offices in Kuching, Kota Kinabalu and Singapore. Leasing, Ooi explains, is the preferred option for most companies as it’s light on their balance sheet. Moreover, companies would want to upgrade their equipment regularly since technology changes so quickly. Buying would make it more costly. “It’s also a recurring business for us, where 75% of our business is in leasing and the remaining 25% is in selling refurbished equipment,” she concludes. Originally published in The Star Online: http://www.thestar.com.my/metro/smebiz/focus/2016/05/09/restoration-of-faith/ on 9 May 2016. Reproduced here in full.